Hilltop heat gun upright protection guard (medium). The unique design of this great accessory allows you to protect yourself or your employees from burns while the gun is in the up right operation position. It covers the end nozzle with a grille to ensure skin does not come into contact with the hot surface, also protects against residual heat when the gun has been left standing. These protective heat gun grilles are unique and robust. They have been designed and manufactured to meet the highest safety standards that have arisen from working closely with our customers. 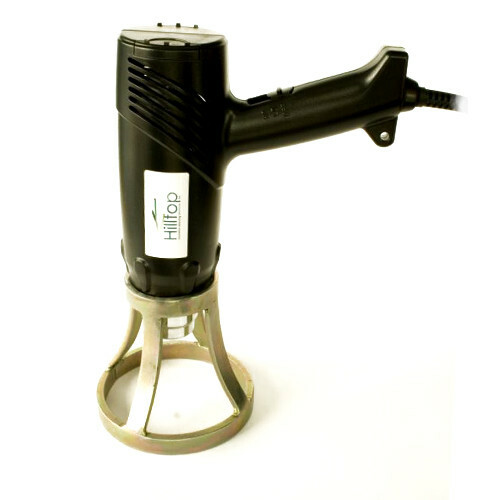 This products is designed to protect the user againist potentially dangerous hot and dirty heat gun nozzles. Hot air guns work at very high temperatures, and therefore remain hot for a long time after use. 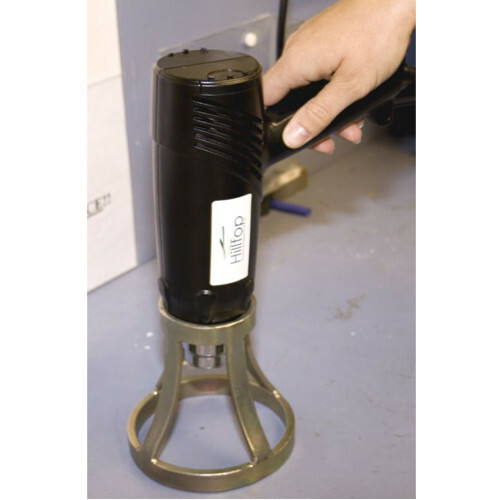 Our heat gun protection guard has been developed and manufactured for our own brand of hot air guns. However, they are compatible with Steinel HL 1810 S, Steinel HL1820 S, Steinel HG 2310 LCD, Steinel HL 1920 E, Steinel HL 2020 E, Steinel HL 2320 E, Steinel HL 2020. Increased weight and stability to ensure the guards cannot be knocked off a work bench, also offering the gun more protection as it is less susceptible to drops.